As a mental health or allied health practitioner you may have questioned: Is there a policy out there that fits my needs, understands the intricacies of my industry and can offer professional liability coverage should I ever need to defend against a negligence claim made by a client? Yep. There’s a policy for that. The Professional liability insurance policy, known as errors & omissions, is a form of liability insurance specifically designed to help protect professional advice- and service-providing individuals and companies from bearing the full cost of defending against a negligence claim made by a client, and damages awarded in such a civil lawsuit. The coverage focuses on the policyholder’s alleged failure to perform, a financial loss he/she may have allegedly caused or any alleged negligence in giving advice or services. Professional liability coverage sometimes also provides for the defense costs, including when legal action turns out to be groundless. Professional liability insurance policies are generally set up based on a claims-made, rather than an occurrence, basis. Meaning the policy only covers claims made during the policy period. Claims that may relate to incidents occurring before the coverage was active are typically not covered. What about the claims that happen during the policy year, but those that aren’t reported until a much later time? There’s a claim for that as well, the occurrence policy. It provides a separate coverage limit for each year the policy is in force. It doesn’t matter if the policy is active when the claim is reported. It only matters that the policy was active when the alleged incident occurred. 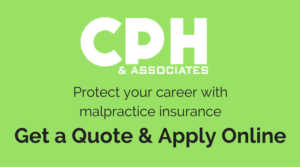 When hunting around for insurance coverage, and trying to decide what best suits your professional needs, don’t look at the world of professional liability insurance coverage as unreachable and confusing. You’d be surprised how easily you can find the right policy for… “that”!